​on the Turbulent Pacific Waves. The 75th anniversary of an ocean battle (4th to 8th May 1942). The battle saved an island continent. It was a victory for freedom, democracy and civilisation over dictatorship. And it revolutionised the nature of global combat. Picture: An artist's impression of the Shoho Imperial Japanese Aircraft Carrier which sunk soon after suffering a direct hit from bomber planes during the battle of the Coral Sea in early May 1942. A savage military was on the advance across Asia and the Pacific in the early 1940s. The Japanese Imperial Army had invaded and occupied China, Korea, Vietnam, the Philippines, Malaysia, Singapore, Indonesia and other SE Asian nations, committing mass atrocities against the civilian populations. They had also bombed Hawaii and the same imperial aircraft carriers which attacked Pearl Harbour delivered their deadly Zero fighter planes to bomb Darwin City, the capital city of Australia's Northern Territory, a few months later. Australians of Filipino heritage were among the victims in defending Darwin as detailed by the Adelaide-based Australian military historian Major Paul Rosenzweig, and as honored in remembrance ceremonies and activities led by the current Philippine Hon. Consul General for the NT, Januario "John" R. Rivas, JP (Justice of the Peace), AM (Member of the Order of Australia). After the bombing of Darwin, which the Japanese did not occupy, the next step of the Japanese military was to invade the Australia continent with troops down the more heavily populated east coast. This proved to be one continent too far against the combined spirit and resources of the Australians and Americans. The Battle of the Coral Sea in May 1942 stopped this. It was the first battle in human history which was fought by carrier planes over an ocean where the opposing ships did not come into eyesight of each other. This was a new type of war to be won and lost over the high seas, at both high and low altitude. This was the first time the Japanese had suffered a defeat. It was both a tactical and strategic defeat. Gordon Johnson, a sailor on board the HMAS Hobart battle ship, named after Australia's southern most capital city, provides a brief insight into the dramatic action on the high seas: “The captain drove the Hobart like a Formula One motor car to dodge the torpedo and bombs." The HMAS Hobart survived to fight another day, thanks to its brave captain and crew. Photo: HMAS Hobart prior to the Battle of the Coral Sea, 1942 (75 years ago this month). 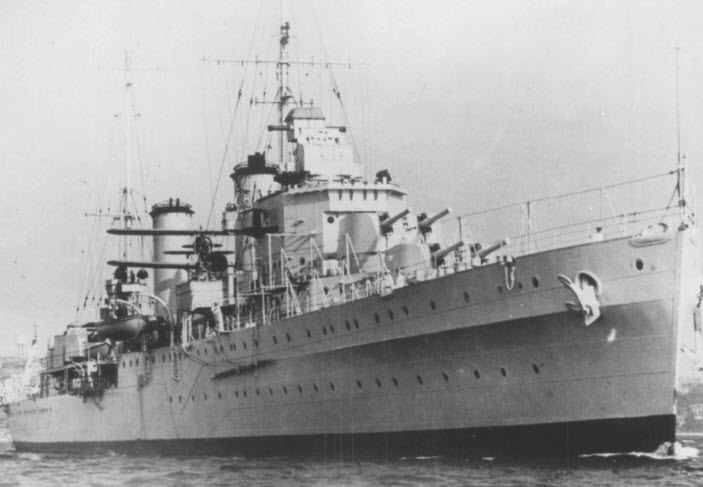 An eye witness sailor's report said the HMAS Hobart was driven like a formula one motor car during the Battle of the Coral Sea, swerving wildly to dodge bullets, bombs and torpedoes whilst putting up a ferocious fight firing all guns in its arsenal to survive the battle. Picture: An action map of the Battle of the Coral Sea close to two of Australia's north-eastern cities, Cairns and Townsville. One month later the Japanese suffered an even greater defeat at the Battle of Midway which they never recovered from. This eventually led to the great battle of the Philippine Sea in June 1944 which demolished what was left of the Japanese navy, by eliminating its ability to conduct aircraft carrier operations, leading also to the liberation of the Philippines which was a close friend and ally of Australia and America. Australia celebrated ANZAC (Australian and New Zealand Army Corps) Day last week which was a public holiday. This is a celebration of spirit and courage over adversity. Most of all it celebrates the victory of freedom, liberty and rule of civilised law over dictatorship and brutality. This freedom-loving value is deeply ingrained within the Australian psyche and soul, as well as the majority of other countries in the world. Let us not forget the Battle of the Coral Sea and those who courageously died protecting the world and helping give us the freedom and opportunities which many countries in the region enjoy today. Today, for example, countries such as Australia, the Philippines, Japan and USA are friends, with societies which have shared modern values and traditions of democratic freedoms since the end of World War II. As Australians remember the momentous Battle of the Coral Sea, there are other problems in the world today which have brought former enemies, USA and Japan, even closer together. Just this week, a Japanese Carrier, Yokosuka, was escorting an American supply ship in a sign of friendship and strong alliance. This is as tensions build over the Korean Peninsula relating to a war, which started soon after the end of World War II, and which has never been declared as finished. 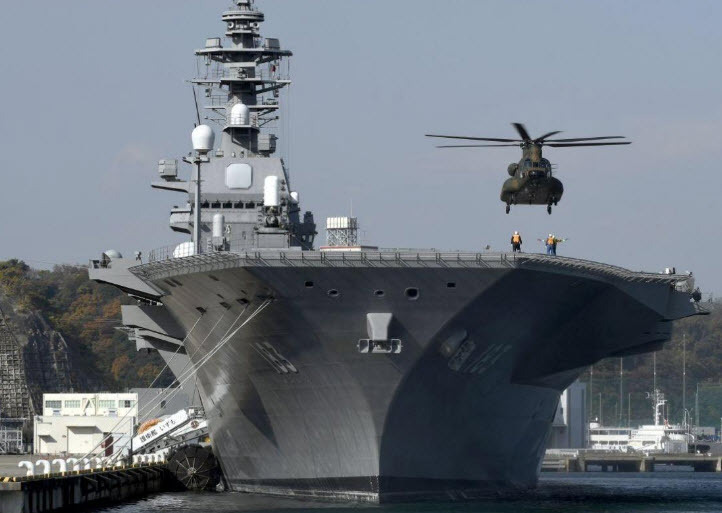 Photo: The Japanese Carrier Ship, Yokosuka, named after the city Yokosuka, which is a major naval and ship building port in the greater Tokyo metropolis. This port was established towards the end of the feudal Tokugawa Shogunate era of the late 19th century. The Yokosuka carrier is currently providing protection and support for American ships in the Pacific in what is seen as increasingly strong military relations and ties between the two former enemies of World War II. Both countries are now friends sharing the same values of supporting freedom, democracy and a civilised modern way of life. Additionally, China, as a fellow civilised and positive thinking modern society, with its own tremendous sense of cultural self identity and glorious history, as most countries have and do possess, such as Australia, the Philippines, Japan, South Korea and the USA to name a few of the Pacific regional countries, also sees common cause with the aforementioned in seeking a peaceful solution to the Korean peninsula issue. China,the Philippines, Australia and the USA were also friends during WWII fighting for the same values of freedom from tyranny and invasion. Now that Japan shares these same values since WWII, all countries can and should live in peace and harmony within the region. Overall, as many countries share common righteous causes, such as the above, the morally enlightened world is still prepared to defend its existence, freedoms and civilised way of life as it can and does come together in shared values. This is so current and future generations of people in this globally interconnected village called planet earth, where all are intrinsically equal, regardless of nationality, race, or extremist incendiary rhetoric on the fringes of society, can live in greater peace and harmony for the future. That is and always should be a core value worth defending whilst remembering the Battle of the Coral Sea! Photo: The HMAS Canberra Carrier ship, which is one of the largest ships in the Australian Navy. The famous Sydney Opera House is in the background. 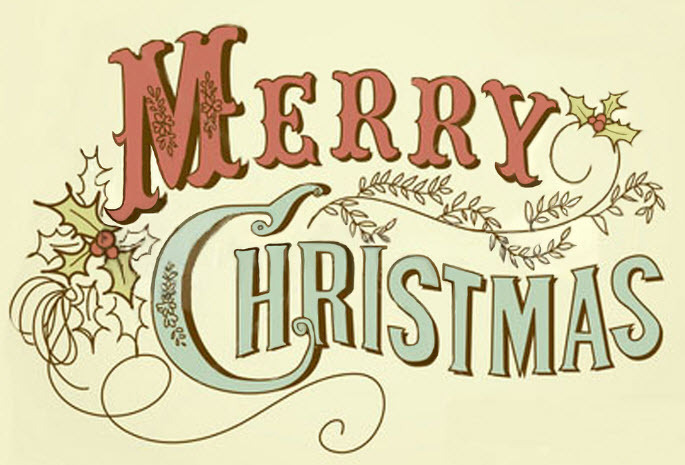 Christmas 2013: Peace, Love and Joy to all! Blessed Easter/Holy Week to Australian Filipinos, family & friends! Easter is a very special time of the year for Filipinos. The Philippines is approx. 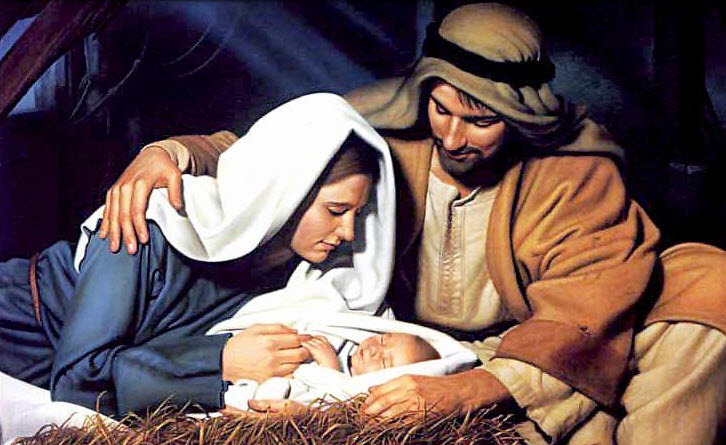 80% Catholic, 15% Christians of different denominations and 5% other religions. This photo is of the famous Quiapo Catholic Church in Central Manila. One of its co-founders in the late 1500s was Franciscan missionary San Pedro Bautista. This church is said to have magical powers, as the church of the "Black Nazarene". The Spaniards, who colonized the Philippines from 1521-1898, first brought Catholicism to the Philippines. During the time of predominantly American colonization, from 1898-1946 (Spanish-American war to the end of World War II), many Christian missionaries came to the Philippines. and possibly some Jedi and the Dark Lord. 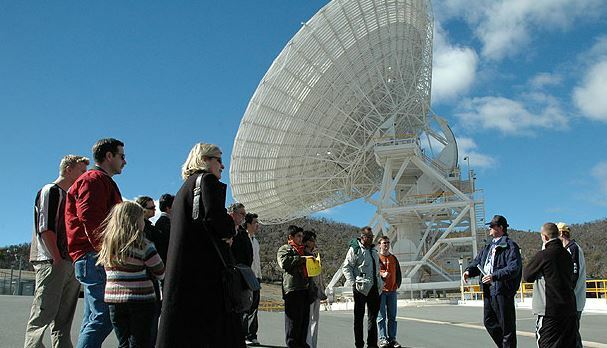 The CDSCC nestled near the Murrumbidgee River (one of Austrlia's longest rivers) on the south side of Canberra, in the ACT, is a jewel in the NASA crown. During the Apollo 11 moon landing in 1969 the CDSCC and nearby Honeysuckle Creek space complex played crucial communication roles. The first footage of the moon landing, when Neil Armstrong took that great step for mankind, came through Canberra. 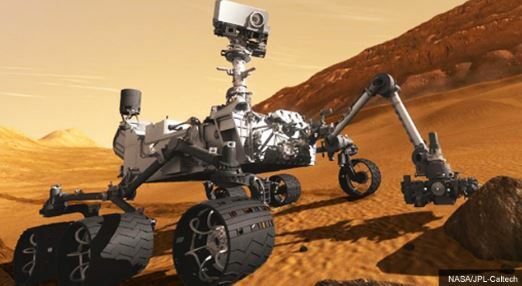 Today the CDSCC plays a crucial role in the Mars Rover project. Be sure to visit the CDSCC for its open day. All activities and events are for FREE. Here is a chance for Filipino Australians to let the other multicultural groups in the ACT taste delicious Filipino cooking, such as Adobo (the national dish). This is a great event for kids and adults alike. It's also a good chance to meet Australians of different multicultural backgrounds. Australia is one of the great successful cosmopolitan nations of the world, and events such as this help us all celebrate Australia's social and cultural diversity. can now be found on the "Canberra Community News" and "Previous Interviews" pages of this website. A special audio of interviews and coverage of the event which was broadcast Saturday June 8, 2013, has been embedded into this article. ICT Expo CeBIT (Centrum fur Buroautomation, Informationstechnologie und Telekommunikation) [German language spelling] held in Sydney 28-30 May 2013. This is one of the biggest ICT expos in the world and there will be many ICT experts and companies from the Philippines looking to do business in Australia. "A May 15, 2013, press release from the Department of Interior and Local Government Secretary of Interior and Local Government Mar Roxas said on Wednesday, May 15, that the real winners of last Monday’s midterm election are the Filipino people who expressed their will in a credible, free, and peaceful election." Mr Verzosa is a polymathic individual of exceptional talent. He is an ICT Manager based in Canberra working for Fujitsu. He is responsible for Business Intelligence and Information Management within the ACT, NSW, QLD and NT regions. Toti gives speeches within the Canberra community relating to Australia's role within the Asia Pacific region and the opportunities that this presents. This covers a range of topics from politics, economics, business relations, strategic initiatives, geography and culture. Toti has also composed some albums. He is a very skillful guitarist and pianist. His albums contain some great instrumental pieces of work. To learn more about Toti the Polymath and to see the cover of one of his albums navigate to the "Profiles" page.